Coupons will populate and can now be printed. If a first time user, see instructione below. There is a one time verification code necessary to use this feature. Coupons will populate and can now be printed. This is a one time verification. 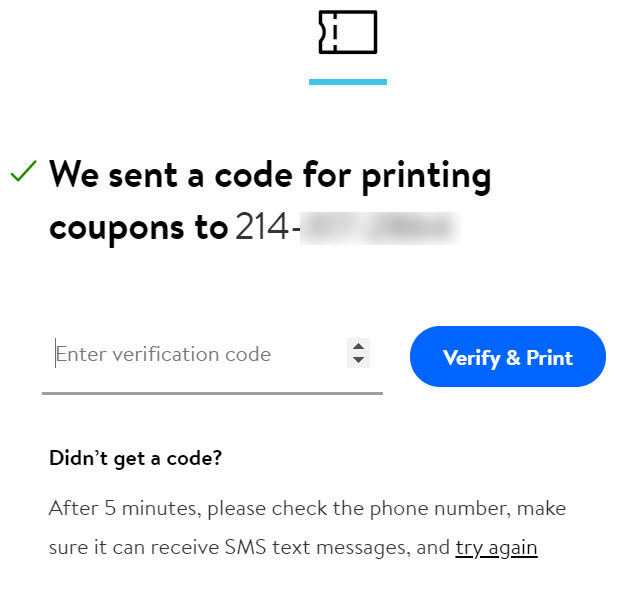 The next time you print coupons, you will not be asked for a code.